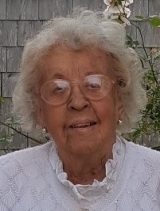 Mrs. Phyllis F. Story, of Altoona, FL, passed away on February 8, 2019. Born on Christmas Day 1923 in Worcester, MA to Arvid and Hildur Fyrberg, Phyllis married Everett M. Story on November 15, 1953. Together they enjoyed over 52 years of marriage before Everett died on Christmas Eve 2005. Phyllis and Everett moved from New England to Ocala, FL in 1990 and then to Altoona in 1994. Mrs. Story was an executive secretary throughout her business career. She was a Past Matron of Hesper Chapter #71 of the Order of Eastern Star, Simsbury, CT. Well known as a fine musician, Mrs. Story was a soprano soloist in Worcester, Hartford, and Altoona. She was a member of South Congregational Church in Hartford, CT and had volunteered in various capacities at Lakeview Terrace Retirement Community in Altoona. 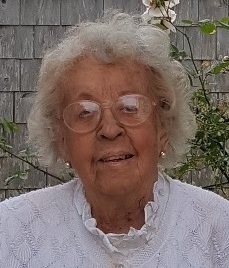 Mrs. Story is survived by her sons: Everett M. Story, Jr. of West Yarmouth, Ma and George M. Story (Lizette) of South Windsor, CT; daughter: Nancy Marsh (Robert) of Spencer, MA; four grandchildren; four great-grandchildren; and many beloved nieces and nephews. Online condolences may be made at www.beyesrfuneralhome.com. To send flowers to the family of Phyllis F. Story, please visit our Heartfelt Sympathies Store.